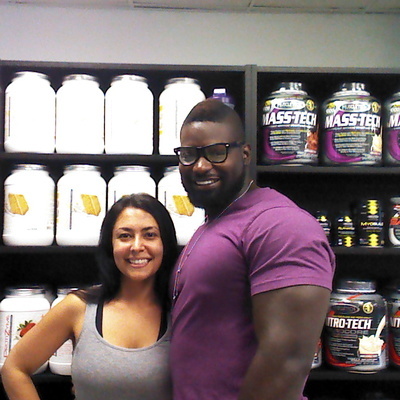 We would like to welcome Reginald W. from Union, NJ, to the FitnessTrainer.com team. We pride ourselves on bringing not only quality trainers, but quality people as well, which is why we are so excited to have Reginald on board. If you live in Union, NJ, review Reginald’s qualifications and training experience below to see if they would be the right trainer for you. Again, we are happy to expand our personal training services in Union, NJ, with the addition of Reginald. Sign up with Reginald W. today! I became a trainer to help people effectively achieve their personal fitness goals. I believe we can be much more effective at the things we love and enjoy in proper health. Let’s work together to accomplish your goals. Jackie was very obese for a short woman; she weighed 198 lbs. Her doctor wanted to put her on blood pressure medication and that’s when she called me and signed up for personal training. She trained three days per week and within two months into her training followed with a healthy diet she went from having a blood pressure of 157/87 to 120/81 and lost 20 lbs. She started to look and feel awesome. There were times when she hated being pushed to do more than she thought she could, but I knew she was very capable of more. I communicate with my clients and am very flexible with what works with your schedule.